Dinghy training involves the use of small yachts as a means of learning to sail and further developing important skills and techniques. It is perfectly suited to children, but also an option for adults. All of the basic skills and attributes of dinghy sailing (with the exception of getting wet!) are fully transferrable to larger yachts, meaning the opportunities for a future in sailing are endless. All programs are delivered by Australian Sailing qualified Instructors and Assistant Instructors and follow the Australian Sailing program. This alignment with the National scheme ensures the highest standard of delivery and safety for all participants. Please see below our dinghy course options for all ages, opportunities for further development, course dates, times and enrolment forms. For further information on any of our courses or development opportunities, please contact Chris Goldacre on 9389 1555 or at sailtraining@rpyc.com.au. 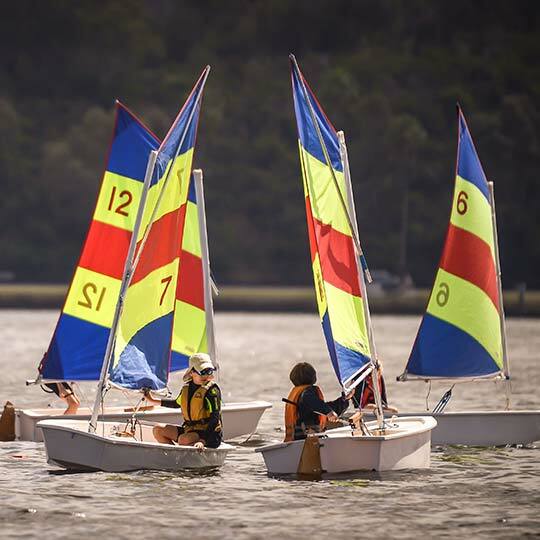 The Tackers program is specially designed for primary age children and everything from the colourful sails to the delivery of the program is tailored to be FUN. 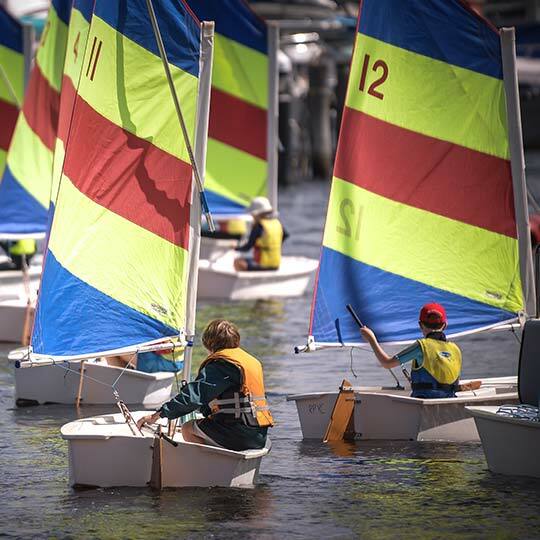 There are three levels of the Tackers program, Tackers 1 – Having Fun, Tackers 2 – Tricks and Techniques and Tackers 3 – Sailing Fast. Tackers 1 requires no prior knowledge or boating experience, all we ask is that your little sailor is water confident. All equipment is included for sailing, including a Personal Flotation Device (lifejacket) for each sailor. The Tackers course will teach the basics of sailing, including all techniques required to set-up the boat, leave and return to the beach, sail around a course or to a destination and safety on the water. The courses also cover the basic rules of sailing, weather and knot tying. All content is delivered in the most practical way possible – on the water! With high instructor to student ratios, students will sail on their own or in pairs in their own ‘Optimist’ training dinghy, with an instructor close by in a powerboat. The course cost is $310 per sailor and includes 20 hours of tuition, full personal insurance cover issued by Australian Sailing, a ‘Tackers Pack’ (containing different surprises for each level) and a sausage sizzle lunch on the final day. 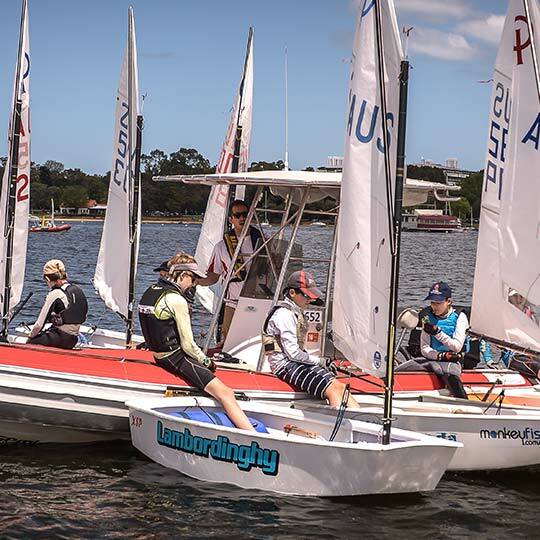 The Start Sailing Course delivers levels one and two of the Australian Sailing ‘Start Sailing Scheme’. No prior knowledge is required and all sailing equipment is included throughout the course. Tuition is provided by Australian Sailing accredited Instructors and will teach students the basics of sailing a dinghy, including preparing the yacht for sailing, leaving from and returning to the beach, sailing around a course or to a destination, and safety. In addition, students will learn a selection of sailing knots, basic navigation, the racing rules of sailing and weather forecasting. 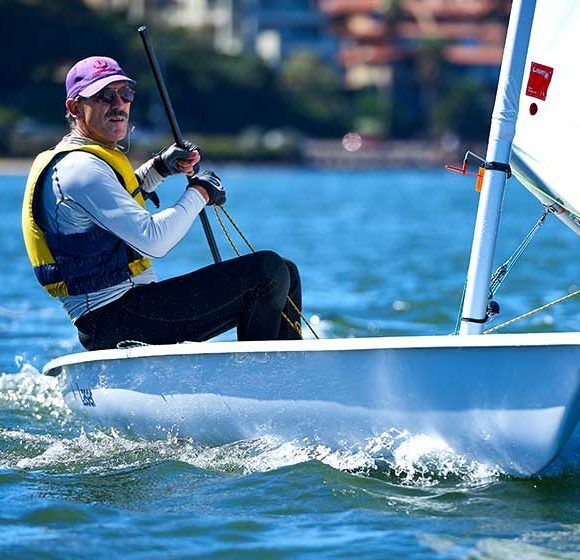 Students will learn to sail in pairs or single-handedly in either a ‘Pacer’ – a stable and simple training dinghy, or a ‘Laser’ – a slightly less stable, Olympic class dinghy. Often students may start the course in the Pacer, but be confident enough to try the Laser towards the end. Teens Start Sailing courses are scheduled during the school holidays and are a great way to get a group of friends together and try something new and exciting. Adult Start Sailing courses are scheduled on weekends and run less regularly. If you cannot see a date below, we suggest calling our Club Development Officer Chris Goldacre to discuss the next course on 9389 1555 or email sailtraining@rpyc.com.au. The course cost is $275 per person and includes 20 hours of tuition, full personal insurance cover issued by Australian Sailing and a ‘Start Sailing’ pack including a theory book and logbook. Upon completion of a Tackers or Start Sailing Course, there are many options available for sailors to pursue their love of sailing and develop their skills and knowledge further. The Optimist Green Fleet – A regular training program, which is a continuation of Tackers and utilises the same boats and equipment. This training program takes place on Sunday mornings from October to April and on a less regular schedule during the winter season. Green Fleet sailors do not require their own yachts and will work on advancing their skills and confidence with the aim of being able to progress to racing and join the Silver Fleet and Gold Fleet. The Step-Up Squad – Designed to cater for teenagers looking to improve their sailing and confidence following the completion of Start Sailing. This squad trains on Sunday mornings during the summer (Oct to Apr) and yachts are provided for participants. The Adult Step-Up Squad – Similarly to the original Step Up Squad, this group engages adults who have recently completed a Start Sailing Course and are looking to continue sailing. The Youth Squad – A group for sailors of all levels under the age of 25. 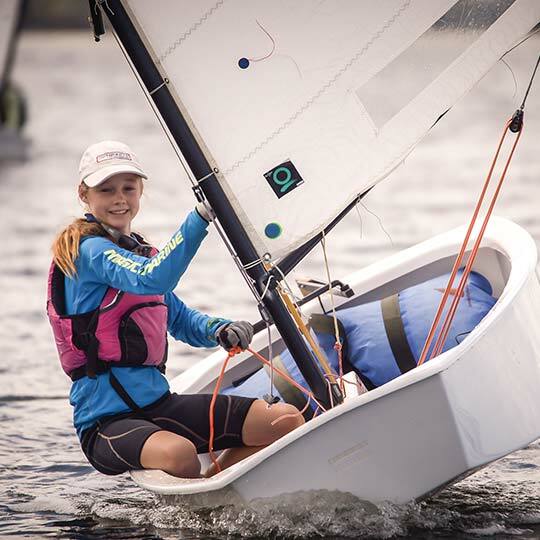 The program will take place on-board the Club’s fleet of training keelboats and incorporate fleet and match racing, with the aim to have a lot of fun and compete in a few regattas along the way. Please see the Youth Squad page here for more information. 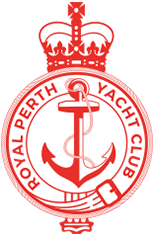 Regular Dinghy Racing – Please see the Dinghy Division page for all information regarding regular racing at RPYC. You can opt to buy your own boat, borrow a Club boat and compete, or crew with someone else. Whichever way you participate it is a lot of fun and a great way to spend a Sunday afternoon in summer. Ongoing participation in these programs involves becoming a member of RPYC, which will ensure you are adequately covered for all sailing activities by insurance and can enjoy all the Club has to offer! Please see our membership page for all information. For more information on any of these programs and on how to get involved, please contact Chris Goldacre on 9389 1555 or sailtraining@rpyc.com.au.